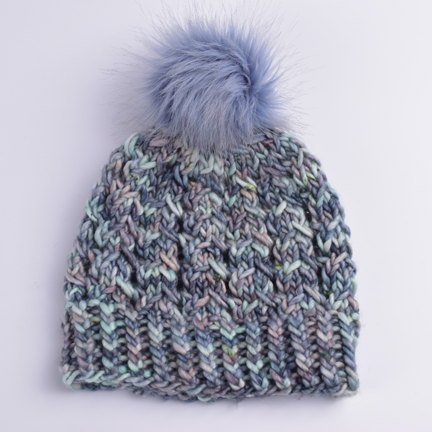 Take knit hats to the next level with faux fur pom poms! 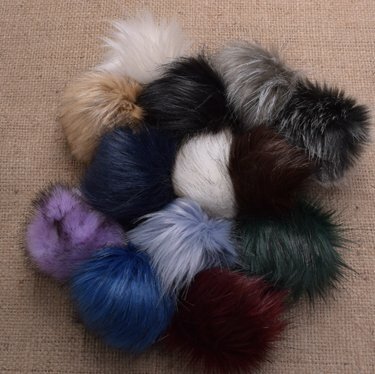 Our artisan faux fur poms are handmade in Canada & have two, plied strings to secure the pom pom to the top of a hat or end of a scarf. They are also cute attached to a backpack or purse for a pop of fun. I found my happy pom place knitting the Lakyn Slouchy Hat with one of our new fall yarns Madelinetosh ASAP. The gorgeous, single-ply yarn was a dream to work with & the hand-dyed colors are incredible. The yarn was a perfect match with the Blue Lavender pom pom! Visit our store in St. Charles, IL or shop our fun collection of pom poms online.